You know things are serious when Oprah Winfrey gets involved. The queen of all media has had a busy day, not only did her mental health docu-series with Prince Harry break the internet Wednesday morning, now she’s coming out swinging in defense of Meghan, Duchess of Sussex. 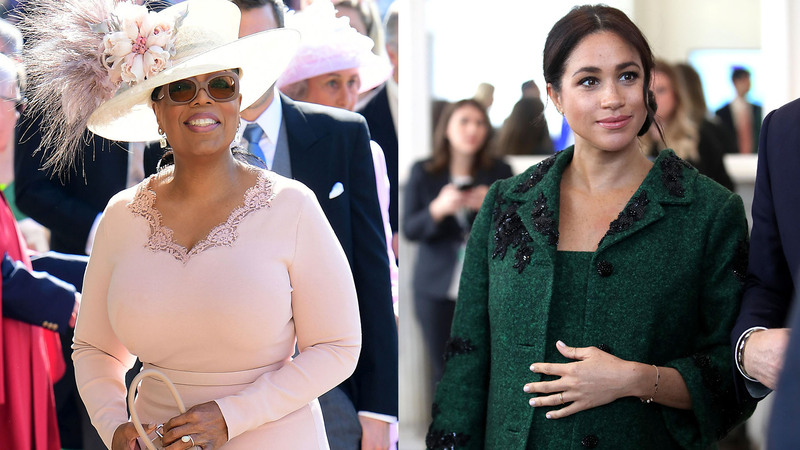 During an appearance on BFF Gayle King’s CBS This Morning, Winfrey blasted the media for their negative, and harmful, portrayal of Meghan. Winfrey confirmed that Meghan really does eschew negativity: “I think that’s remarkable that despite everything that’s going on she does not read anything,” she said. And it’s a good thing she doesn’t. The impending arrival of Baby Sussex has sent the press into a frenzy, with headline after negative headline dominating what is a truly happy time for Meghan and Prince Harry. Just this week, Samantha Markle, Meghan’s estranged half-sister, made another public statement about her sister, but this time, she mom-shamed Meghan before the baby has even arrived.